This was a high profile recruitment site started by CEO of ModuleOne.com Mr. Saumya Meattle. 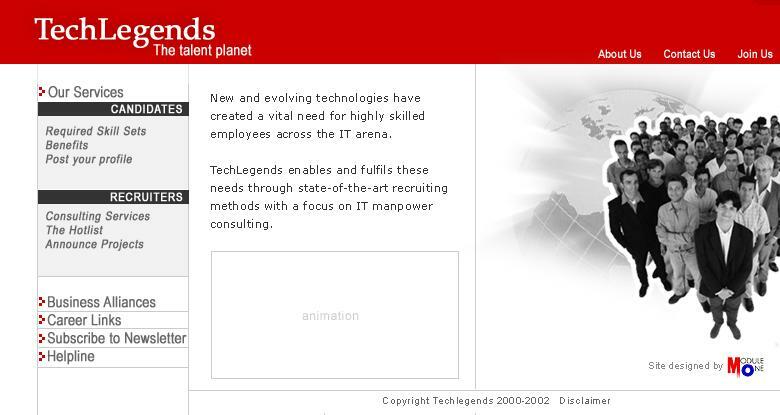 The focus of this site to recruit high profile tech guys for fortune 500 companies. I have deigned the logo & the website in the year 1999-2000.